Money No Object by Heidi Hinder is the result of Watershed and Craft Council’s Craft + Technology Residencies. ‘Money No Object’ has re-imagined the physical object of money, exploring what could happen if financial transactions offered a different kind of value proposition, and in a new creative economy, could trigger invaluable and enriching points of exchange. 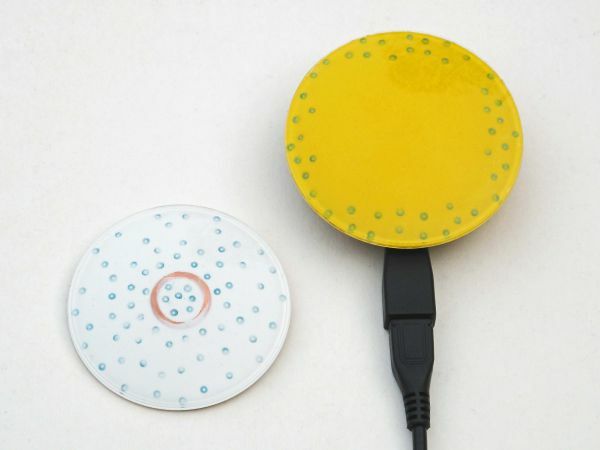 Heidi Hinder’s Money No Object offers an alternative to the ‘tap and go’ NFC payment, adding a more personal interaction. To pay the buyer must shake hands, high five, hug or even tap dance. Instead of carrying a plastic payment card the buyer wears a special glove, brooch or shoe. The merchant has a similar matching payment brooch or glove instead of a chip and pin terminal. 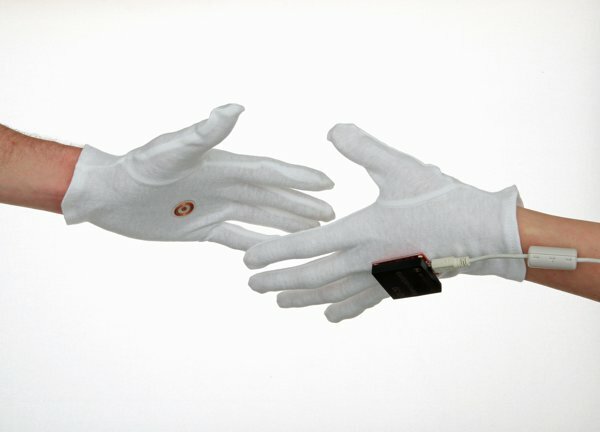 When the buyer and merchant brooches/gloves touch each other, a payment is transferred. Heidi’s background is as a jeweller, which includes making beautiful astronomy medals whilst an artist in residence at the Royal Mint. For Money No Object she explored what happens when intangible representations of value replace physical objects. 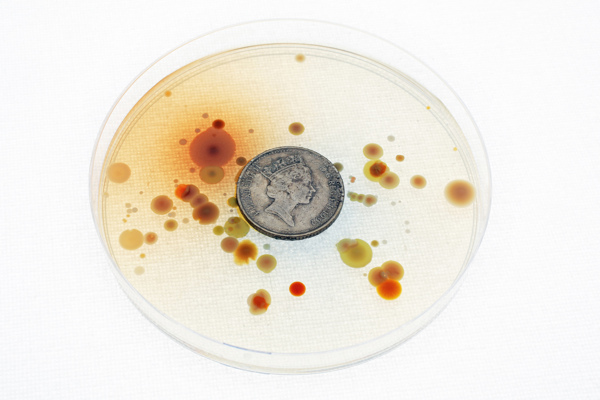 These explorations can be seen in the Money No Object journal and ranged from attaching tracking tags on circulated coins to growing bacteria cultures from old coins. The end result is a prototyped alternative to the NFC payment systems of Visa PayWave and MasterCard PayPass. These current payment systems attempt to make purchasing quicker and easier. No need to remove your card from a wallet or purse and enter a pin number. Instead of exchanging physical tokens of coins and bank notes a digital representation of value is passed over radio waves. They’re about improved efficiency and reduced visibility. 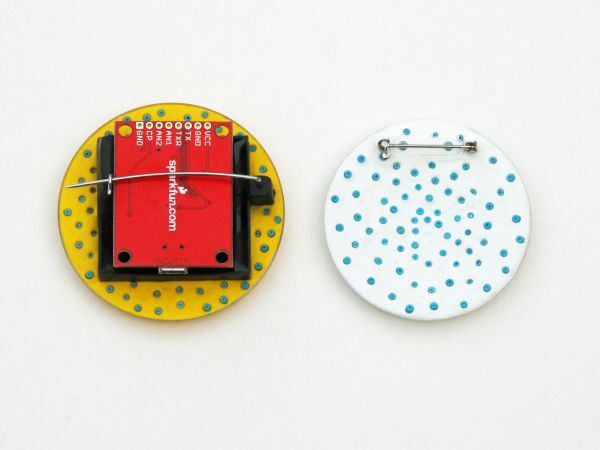 Heidi’s project seeks to bring back human interaction and personal contact to the process of exchanging value. We quickly made a prototype payment system in a few days. The software and hardware is not elegant or complete but was intended to test the most important part of the project, the interaction between buyer and merchant. Within the brooches, gloves and shoes Heidi embedded small circular EM4001 RFID tags. These are read by an ID-20 RFID reader linked to a Raspberry Pi. 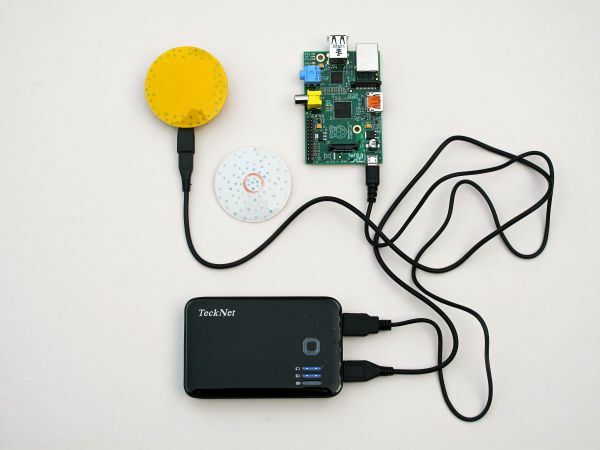 A script running on the Pi connects over wifi to a Ruby on Rails server which processes the payment. You can learn more about Heidi Hinder’s work on Behance or read the Money No Object project page. Photographs taken by Jonathan Rowley and Heidi Hinder.